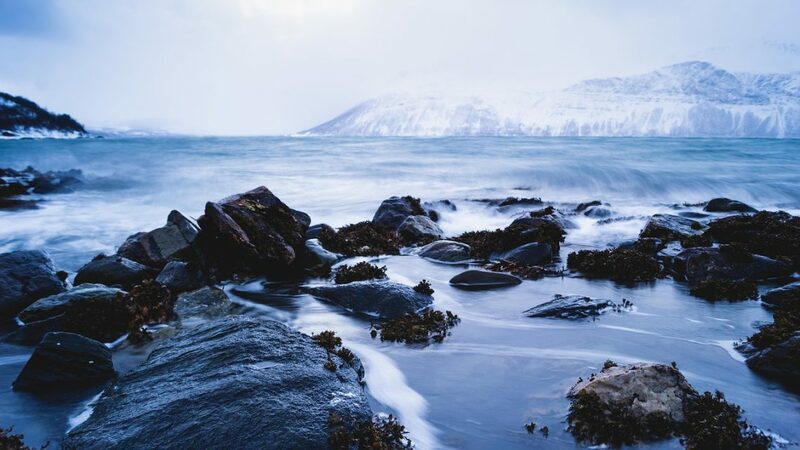 High-latitude coastal regions are increasingly suffering the effects of human pressure, either from local activities or as a result of global-scale effects. Demographic expansion, resource overexploitation, habitat degradation, pollutant release on land and at sea, and climate change are rapidly affecting these environments with unpredictable effects. Oil exploration and exploitation in Arctic and Subantarctic regions, as well as increasing tourism in Antarctica, add to this worrisome picture, posing high risks of oil pollution in these sensitive environments. Sediments play a fundamental role in coastal environmental health. Sediments are not only inert materials such as sand or lime: they constitute a rich organic matrix that hosts a wide array of microbes (mainly bacteria, but also small protists and algae, and the less known Archaea). Microorganisms have potent enzyme toolkits capable of carrying out chemical reactions on all kind of molecules, through which they participate in key ecosystem functions such as carbon and nutrient cycling, dead matter turnover, and pollutant biodegradation. Rather than being a group of unrelated living forms, sediment microorganisms are highly diverse and finely structured as a result of evolution, in functional assemblages. Microbes work together uniquely responding to environmental factors and exposure to different types of biotic interactions (relationships between themselves), resulting in a highly-organized entity, the microbial community. The resulting community is very tightly coupled to natural habitat variability. For example, unlike what happens in seawater, which is usually mixed, sediments are vertically stratified, following a steep redox gradient across the first centimeters of depth, where oxygen is present only in the upper layer. As a result, aerobic bacteria (and their metabolic processes such as oxygen-mediated respiration of organic matter) tend to dominate in the surface layer and sediment-water interface, while deeper layers are typically anoxic and characterized by anaerobic bacteria and their associated processes such as nitrate, sulfate or even iron reduction. Environmental microorganisms are not easily cultured in the laboratory, the majority of them being unculturable by conventional methods, a characteristic that hinders their study by traditional laboratory techniques. In order to analyze their physiological and ecological roles, researchers rely on the analysis of biomolecules such as DNA. The information captured in these biomolecules can provide insights into their identity (when analyzing specific genes that carry meaningful information on their evolutionary history) but also of their potential metabolic traits. For example, when analyzing genes that code for enzymes related with a specific feature, say, nitrification, we infer that this capability (aerobic ammonium oxidation) is present in the analyzed microbial community, giving us clues for the possible fate of ammonium in the analyzed ecosystem. As the genes are contained in the genomes of microorganisms, the joint analysis of all genes from all genomes of the members of a microbial community is called “metagenomics”. This analysis has the advantage of being high-throughput, generating enormous amounts of sequence data per sample. The approach is suitable for the analysis of natural microbial communities, as they are typically composed of hundreds or even thousands of different members. Culture-independent methods including metagenomics can be used to reconstruct a fingerprint of microbial communities, their diversity and their metabolic/ecological roles in ecosystem function. Metagenomics allowed us to perform an in-depth analysis of microbial communities inhabiting sediments from polar and subpolar coastal environments in the Northern and Southern Hemispheres, with different levels of human impact. This was the result of a project that involved various research groups from Argentina, United States, Norway, and Sweden, which coordinately retrieved sediment samples that were further subjected to direct DNA extraction and large-scale sequencing of specific genes or the whole metagenome (shotgun sequencing). The Joint Genome Institute and the international microbial diversity initiative Earth Microbiome Project (EMP) contributed generating the sequence data. Selected sampling sites for metagenome reconstruction in high latitude coastal regions of the world. A total of twenty-four samples, consisting of triplicates obtained at two sites in each of the four selected regions, were obtained for this study. The included regions in the Northern Hemisphere were Advent Fjord, in the remote Svalbard Archipelago, and the Baltic Sea. Ushuaia Bay, in the southernmost tip of South America, and Potter Cove, located on an island next to the Antarctic Peninsula, were sampled in the Southern Hemisphere. The results from this study showed that microbial communities inhabiting cold coastal sediments are among the most diverse on Earth, their diversity being comparable to the one found in soils and tropical forests. The main metabolic functions of these communities were mapped and reconstructed, by analyzing their gene sequences with bioinformatic pipelines and comparing them to the ones already available in public databases. Among the unveiled metabolic capabilities, an extremely diverse array of genes for the degradation of oil-derived pollutants was found. These genes coded for enzymes targeting various substrates (different kinds of hydrocarbons) and capable of working in different conditions (aerobic or anaerobic), highlighting the important role of these communities in pollution control in this vulnerable environments. Moreover, certain types of sulfate-reducing bacteria and anaerobic degradation genes were found to correlate with organic pollution (they were more abundant in polluted sites), suggesting that anaerobic hydrocarbon degradation is a key process in cold sediments. This comprehensive metagenomic dataset was the first one to be generated from coastal sediments of high-latitude environments and was the starting point of this and other microbial ecology studies, such as the analysis of the capabilities of microorganisms for cycling of algal-derived carbon (published in Environmental Microbiology (doi:10.1111/1462-2920.13433). In addition, many of the genes found in these metagenomes could code for enzymes with interesting biotechnological applications such as green chemistry (published in the journal Marine Drugs, doi:10.3390/md15040114). The study, Metagenomic Analysis of Subtidal Sediments from Polar and Subpolar Coastal Environments Highlights the Relevance of Anaerobic Hydrocarbon Degradation Processes, was published in the Journal Microbial Ecology (doi:10.1007/s00248-017-1028-5). Researchers contributing to this paper were: Fernando Espínola, Mariana Lozada and Hebe M. Dionisi (Centro para el Estudio de Sistemas Marinos, CONICET, Argentina), Walter P. Mac Cormack (Instituto Antártico Argentino), Janet K. Jansson and Colin J. Brislawn (Pacific Northwest National Laboratory, USA), Sharon Borglin (Berkeley National Laboratory, USA), JoLynn Carroll (Research Centre for Arctic Petroleum Exploration, The Arctic University of Norway, Norway) and Sara Sjöling (School of Natural Sciences and Environmental Studies, Söddertörn University, Sweden). I am interested in cognition as an embodied and situated phenomenon, which I have studied in various animal groups and more recently, in human beings: both in social neuroscience research (where we study empathic and collaborative processes in school contexts), ethno-biology (where we study ecological-traditional knowledge in local populations) and embodied cognition in children. I base my research in the theoretical framework of Enaction / embodied cognition (Embodiment, Enaction) a perspective that integrates the self-organization of the imbricated life in wider ecological, historical and socio-cultural contexts. I am particularly interested in the articulation of these approaches to education, teacher training and health.